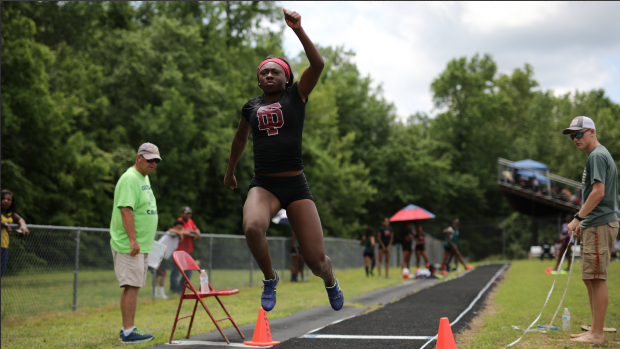 Team Virginia will not only be competing on the track this weekend we will also have quite a few athletes tearing up the field too. Out of these athletes competing there are quite a few with national title aspirations. 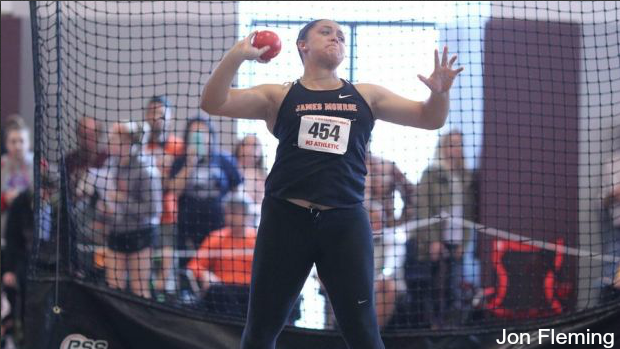 In the shot put Alexis Clark and Ebonie Whitted will join Jabari Bennett for Team VA. Though all three have smaller chances of winning the overall title this weekend they have much larger chances at setting state records. In the other common throwing event, the discus, Solomon Ghosh of Blacksburg is competing one last time and attempting to get nearer to the 200 foot barrier. Another Virginia record that could fall is the state pole-vault record for girls. Both Gracie Jauch and Gennifer Hirata are very close to that state record of 13-3. If the weather cooperates we could see that record fall. In the guys' pole vault competition we will also get to see two VA all-time greats in Harrison Rice and William Chapman squaring off one last time in high school. Next up will be the jam-packed high jump competition. The girls' will have Taylor Beard attempting 5-11 or even 6-0. The guys' will have Matthew McKiver, Trey Causey, Walker Hinkle, and Joshua Prince-Gilliard all going for the win and the 7-0 barrier. While those events are going on we will also have the horizontal jumps on the home stretch. Titiana Marsh who was a late addition to the meet will definitely headline our Virginia contingent. She is entered in both the long and triple jumps. She is joined by freshman superstar Emma Seetoo in the long and Jade Lane & Grace Yeboah Kodie in the triple. On the guys' side Mason Henry headlines the triple while the trio of Frank Royal, Jordan Walker, and Donovan Louis are all looking for that big one jump to win it all in the long.